The disciplines of science and art come together at Hawk Dental Artistry in Boca Raton, Florida. 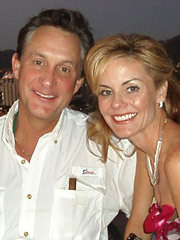 Driven by a passion for perfection, cosmetic dentist Dr. Ronald E. Hawk is able to create head-turning smiles, individually designed and crafted for each patient's unique needs. Every day he turns patients with worn and failing dentitions into 'smile superstars'. Seeing the transformation in a patient's outlook, the delight in their eyes, the confidence in their smile, never ceases to thrill him. Dr. Hawk can create a glamour smile even in the patients once thought to be doomed to removable partial or even full dentures. Over 2,000 hours of post-graduate training with an emphasis on Cosmetic and Reconstructive Dentistry and over 30 years of real-world experience make Dr. Hawk uniquely suited to provide the highest level of customized cosmetic care. In addition to maintaining a busy dentistry practice in Boca Raton and raising a family with his wife, Bambi, Dr. Hawk finds time to pursue his other interests, including flying, fishing, diving, skiing, motorcycle riding and travel. 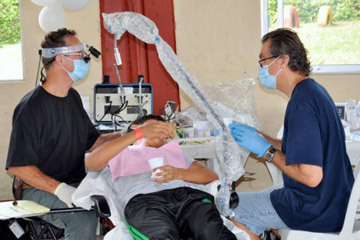 Once annually he travels to various Central American countries as part of medical/dental mission trips. He also provides pro-bono goods and services for worthy charities, including Junior League, JM Charities, Make-a-Wish Foundation, Children's Home Society and others. As the song goes, "I bless the day I found you". Thanks to you, I feel at least 90% more relaxed when I walk into your office. You have the most wonderful manner and techniques with your patients. I feel that you treat each of your patients as special individuals and are concerned about dental visits being comfortable and pain-free for your patients. You have certainly changed our outlook towards dental appointments and we think you're simply the best. I just wanted to thank you for all of your efforts and patience in giving me such a beautiful smile. A note to say thanks to you. I had not appreciated the clean, bright office and the high level of care you provide until I had looked elsewhere. Please know that you are a singularly excellent doctor and a kind and compassionate man. I had to write after the past few weeks of care and your sensitivity to my specific needs. Again, I thank you! Dan's teeth and smile are now WONDERFUL. You work miracles. Even the temporary teeth looked good.